Last summer I opened the Lazy Susan corner kitchen cabinet and it felt like a dorm refrigerator. The register was next to the stove and the cool air went behind the stove and cabinets and pooled in the Lazy Susan area. The first thing I did was pulled out the stove and caulked the seam between the cabinet and wall. 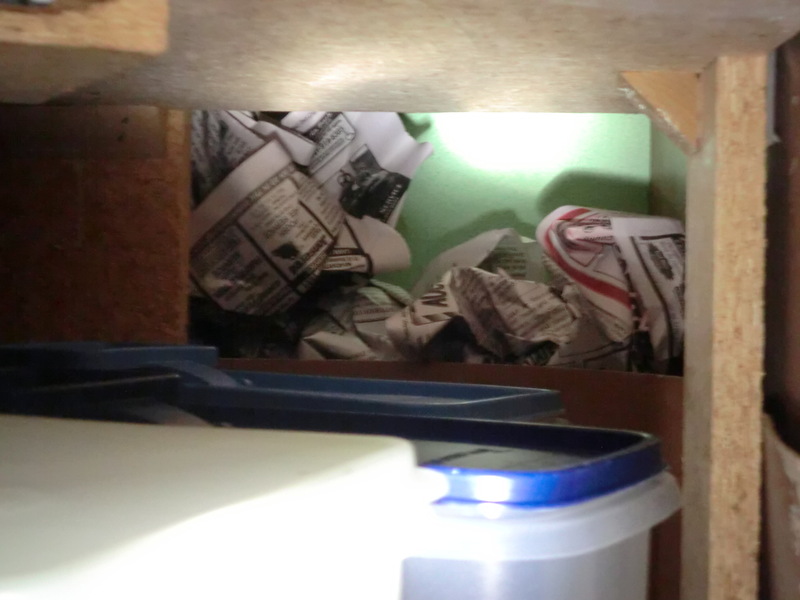 This summer I got a flashlight out and looked at the condition of the wall behind the drawers that are next to the Lazy Susan. I could see a space between the floor and the wall. I filled it with caulk. I am sure the space extended behind the Lazy Susan, but I did not want to take out the curved board that was installed behind it to keep stuff from rolling back out of reach. 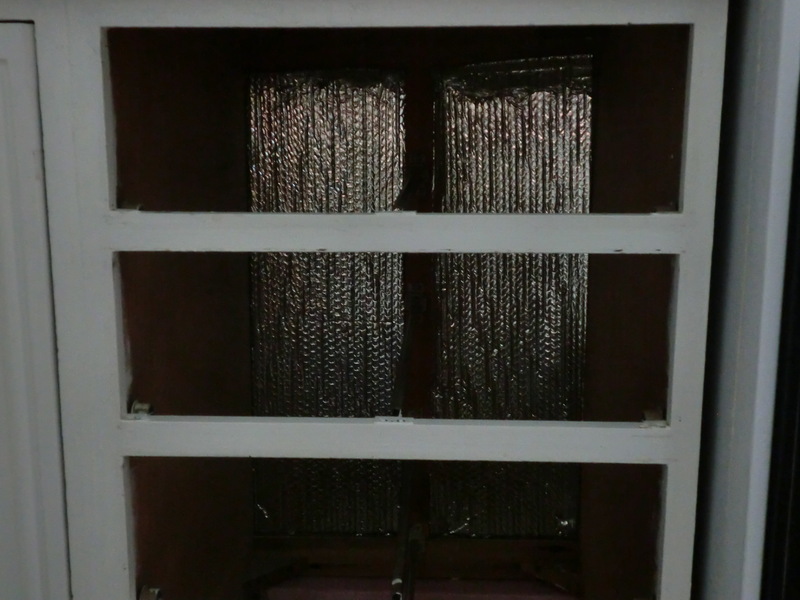 Since I believe our walls are under-insulated, I decided to insulate behind the drawers. I cut a piece of foam wall insulation for the spot under the drawers, but it was too thick for the wall behind the drawers. I used some “Astro Foil” stapled to the walls for that area. I was going to use newspaper for all of it, but the drawer cupboard is next to the stove, so I worried about using a flammable material. As you can see by the pictures…it is not pretty! Astro Foil insulates behind my kitchen drawers. Newspapers stuffed behind the masonite board behind my Lazy Susan. This entry was posted in Energy Efficiency, Money Saving Ideas, Use What You Have and tagged Energy Efficiency, Lazy Susan, Money Saving Ideas, Use What You Have, Wall Insulation by Frugal Fish. Bookmark the permalink.